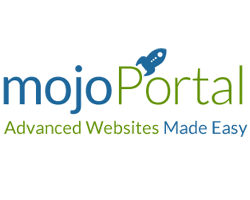 MojoPortal is a website framework built on ASP.NET WebForms framework. This CMS supports plugins and has built-in support for, among others, forums, blogs, event calendars, photo galleries, and an e-commerce feature. We provide cheap, best and instant activation on your Mojoportal 2.7 hosting account Mojoportal 2.7 includes most of the features you could want. If you need specific functionality that is not already part of the framework, our developers can build custom modules to work seamlessly with your website. Sign up for our UK Mojoportal 2.7 Hosting with no risk to try our excellent service start from £2.99/month! ASPHostDirectory.com offers cheap Mojoportal 2.7 Hosting to all our new and existing UK customers. You can try our services before buy it. Get FREE 7 days Trial Hosting with us. There's no obligation to buy — you can upgrade to a more robust account or cancel at any time. No risk anymore, why wait longer?